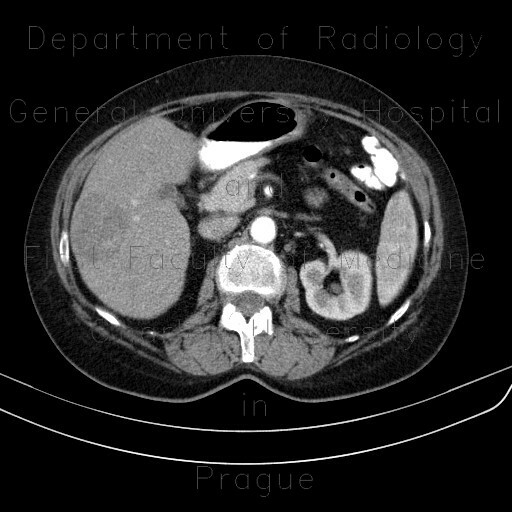 CT shows a hypovascular metastasis in the right liver lobe, that was subsequentially treated with RFA. Follow-up CT demonstrates regression of the mass. Follow-up CEUS shows a rim of vital (enhancing) tissue, which was treated in a second session with excellent result.